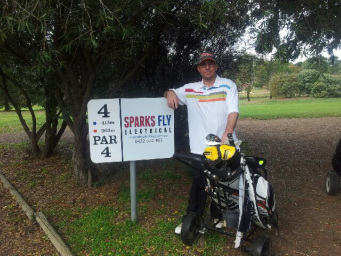 Canberra Electrician - ABOUT US Sparks Fly Electrical is Canberra's best electrical service. Thank you for visiting Sparks Fly Electrical. Our first aim is to take the time to understand what you are trying to achieve in your space. Whether it's your home or business, whether the job is large or small. We will take the time to listen to you and help you achieve the results you are looking for. We have years of experience in the construction industry and a wealth of electrical knowledge, but we know that customers want more - they want an electrician who is able to see the bigger picture, to see how they want their space to work and meet their needs. At Sparks Fly Electrical we are also very aware of safety and of meeting all legal and regulatory requirements. We are constantly training ourselves to keep up to date with current electrical practices and laws and pride ourselves on maintaining a safe working environment for us and our customers. Our extensive range of services are all carried out professionally, safely and in a timely manner to ensure you receive the best possible customer experience. We also pride ourselves on leaving the job the way we find it which is why we make sure to clean up after ourselves and have a minimal impact to the surrounds we are working in. We understand that having a mess to clean up after someone has been in your home is not a good experience and we believe this is all part of the job you are paying for.